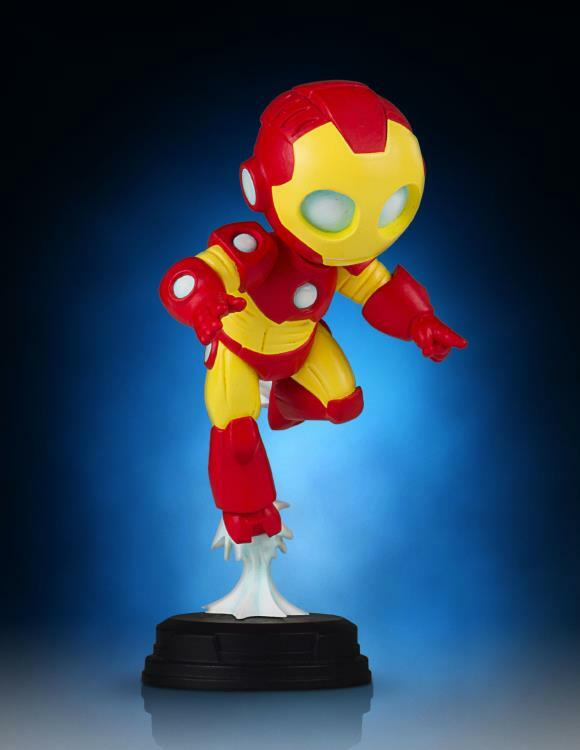 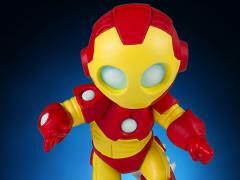 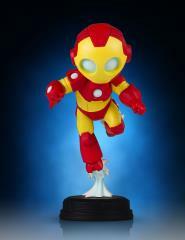 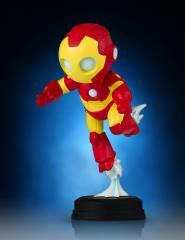 Gentle Giant LTD continues the animated fun with this next adorable yellow and red tin can, Iron Man! This animated design of the Iron Avenger is based off artwork found in the pages and covers of Marvel Comics. 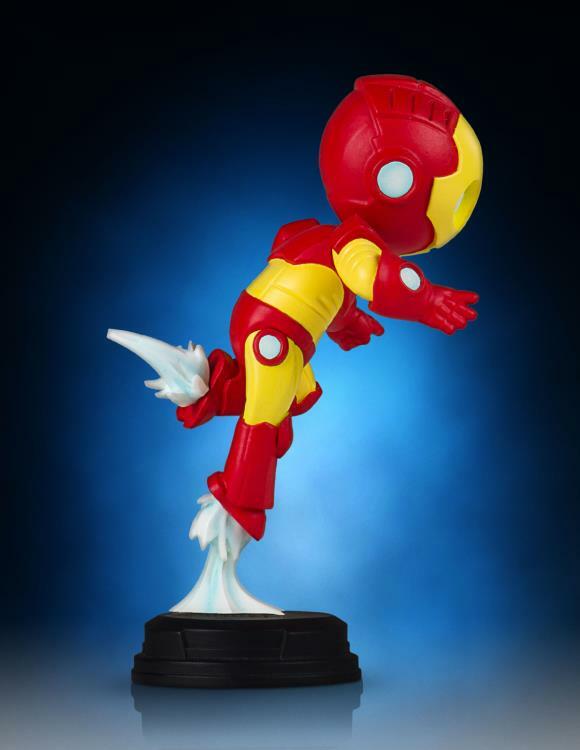 Blasting off to adventure, this Iron Man collectible was digitally sculpted, and then printed out on state of the art 3D Systems printers. 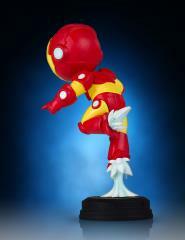 The prints were then used to create the prototypes needed to produce this fun filled statue of Iron Man! This Iron Man statue continues Gentle Giant LTD's ongoing line of Marvel Comics Characters in this animated style!